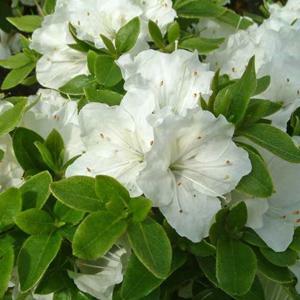 Dwarf evergreen azalea. Large white flowers in spring. Compact rounded habit, glossy mid-green leaves.